Dr. Rosette Aquilina is a Senior Associate within GANADO Advocates’ Corporate Finance and Tax team with particular focus on assisting clients in corporate financing transactions, mergers and acquisitions, formation of European Companies (societas europaea), redomiciliations and assisting in all corporate matters relating to clients’ corporate structures. Rosette also regularly assists in banking and finance related matters. 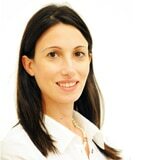 Dr. Rosette Aquilina assists clients in corporate financing transactions, mergers and acquisitions, formation of European Companies (societas europaea), redomiciliations and all corporate matters relating to corporate structures.